One of the things I love about my job is meeting different people through book signing events in store. Today was the turn of the lovelyAnna Dale who did a book signing for her four books ‘Magical Mischief’ ‘Spellbound’ ‘Whispering to Witches’ and ‘Dawn Undercover’. 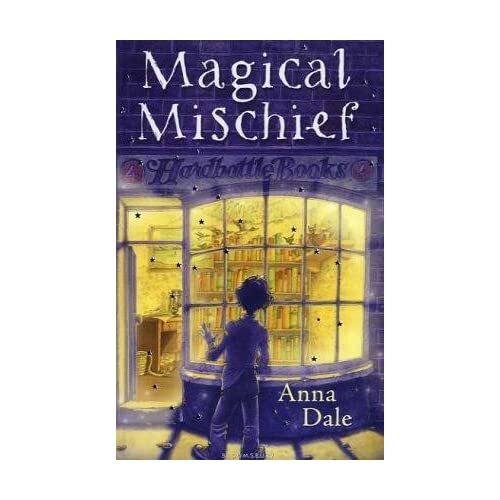 Magical Mischief is certainly my favourite and the cover I just love. There’s something about it, as my colleague said that takes you back to Dickens’ The Old Curiosity Shop’ (my favourite of his after A Christmas Carol). And certainly the book reminds me of Christmas; looking in to see magical things and mesmirising lights through frosted windows. The author herself is a fellow bookseller, or should I say was. So unsurprisingly she has based this book on a bookstore…not just any bookstore though; a place where magical and strange things happen. It’s a great read which will transport you into fantastical alternate world and will certainly make you look out for wonderful things next time you step foot in your local bookstore. Have you got the doodle bug? Any book that has ‘All proceeds go to the Rainbow Trust’ is a good book in my eyes. And for once the use of the word ‘celebrity’ is used in the right context; literary celebrities. 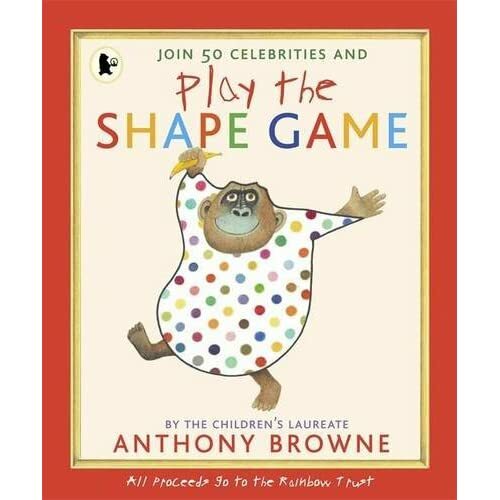 Join the likes of Anthony Browne, Emily Gravett, Jacqueline Wilson and Alain de Botton as they use a simple shape and turn it into something amazing. You can do the same in this fabulous book. Draw a bird, draw a plane or just draw a blobby thing. This book is great as it gives you the freedom to be spontaneous, adventurous or downright crazy and if you don’t fancy yourself as the next Oliver Jeffers or Nick Sharratt, just enjoy the wonderful drawings created by these ‘celebrities’ for a great cause. £5.99 pb 9781406331318 Walker Books. 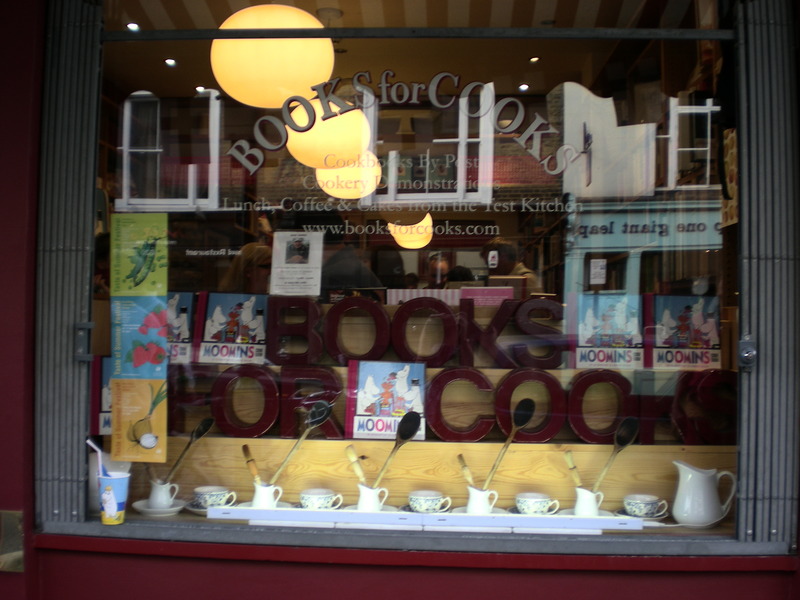 Available from Waterstones stores or www.waterstones.com in association of their 2010 supported charity The Rainbow Trust. 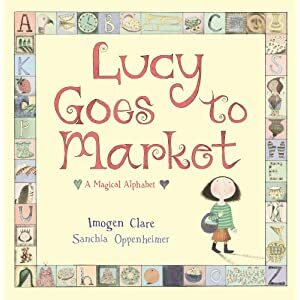 I might be slightly biased here because the book is all about a fellow Lucy, but there’s plenty more to love about this picture book by Sanchia Oppenheimer, illustrated by Imogen Clare. Little Lucy goes shopping and comes back with extraordinary finds from garlands to a zebra. Written in alliterative, alphabet form this book is not only a great bedtime read but also a great tool for learning the alphabet. I challenge you to memorise all the things Lucy buys! The illustrator, Imogen Clare won the 2008 Macmillan Children’s Prize for Illustration and subsequently a book was published. What I love about these illustrations is their simplicity. There’s almost a naivety that heralds simpler times and evokes fond memories. For me, it brought back a trip to the market when I was about four or five years old. I went with my Grandma and she bought me a cuddle stuffed hedgehog. I named him Harry and he’s still with me today, albeit relaxing on top of my wardrobe with other childhood critters. 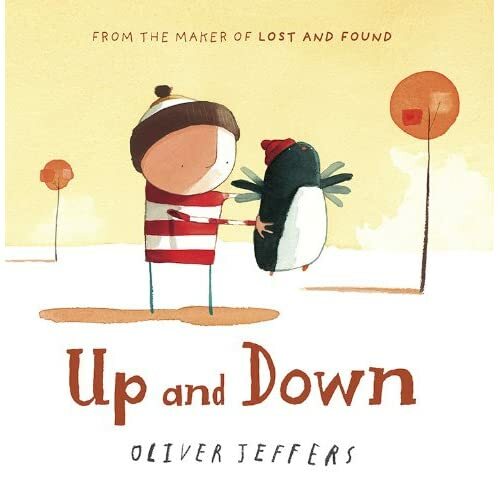 Speaking of Mr Jeffers, he has a new book out in September as a follow on from Lost and Found…which follows the delightful story of a slightly bemused boy and a very lost penguin. It’s a stunning book and the animation which showed on Channel 4 in Christmas 2008 was just gorgeous and complemented the book beautifully. I hope Jeffers will continue with this series as you really can’t get much better than a penguin looking for friendship. follows the ongoing friendship of the boy and penguin, who still relish their unique relationship. All seems well until the penguin starts to dream of being able to fly. Of course, penguins can’t fly but he’s not having any of it and sets of to find his flight of path and once again the boy and the penguin are separated. Will they be reunited and will the boy ultimately be the one to help the penguin realise his dreams. I can’t wait to read this book. The penguin is a symbol of hope and dreams and not giving up. The boy is a symbol of support and unwavering friendship. Put this with the sparse, haunting illustrations and there is a true depiction of love and friendship. It’s all a bit difficult to describe the feelings evoked from the illustrations and I think that’s the best thing about Jeffers’ talent. We all love books and I especially love books which celebrate books and that’s exactly what these titles featured in this post do. is about a little Dog who loves all kinds of books. He has his own bookshop which sells every book you could possibly think of. In fact, he seems like a better bookseller than me! I love this book, the illustrations are charming and it’s impossible not to be swept away with this tale of a charming little dog. And of course there’s the added bonus of introducing kids to the wonder and whimsy of a great book, masterfully encouraging them to get reading. 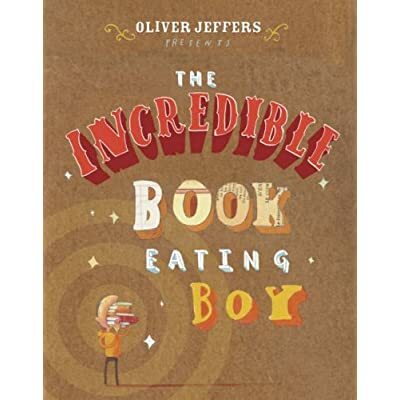 Whilst you and I READ books to get clevererererer, Henry decides to cheat by eating the books he finds at the library and he finds the more he eats, the smarter he gets and ends up devouring all the books hes can get his knife and fork on. It’s all about moderation though and Henry soon learns that too much of one thing can be bad for you. I adore Oliver Jeffers; as a person, as an author and as an illustrator. He just gets it. He recognises what a picture book is all about and never forgets who it is for. 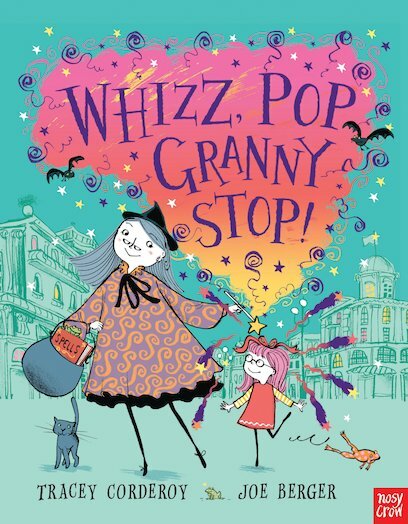 For the child to enjoy, to lose themselves in the intensity of the tale and adults and children alike can do so in this charming, slightly wacky tale. This picture book is also available as a pop-up book which is pretty darn cool. 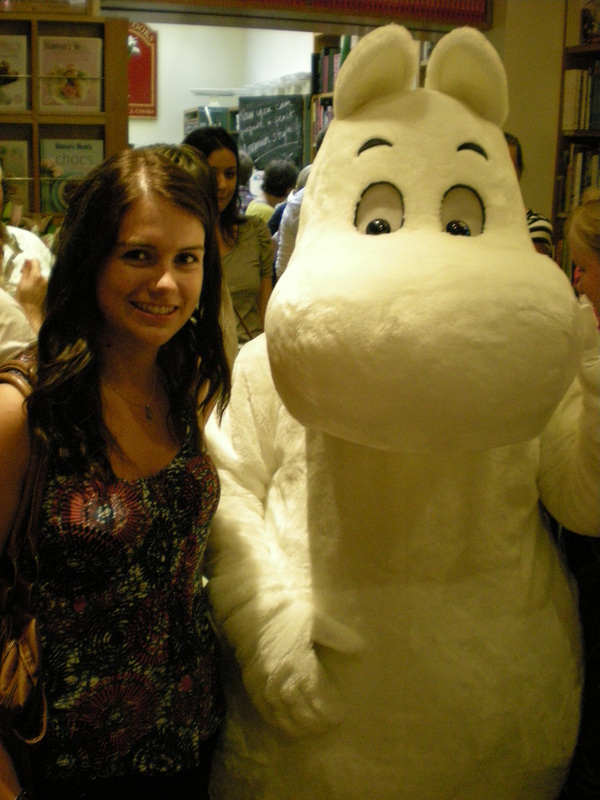 We all piled into Books for Cooks, the most wonderful bookstore that only stocks cookbooks and Moomintroll himself graced us with his presence and posed for photographs. He tried to get his hands on some vodka cocktails- he’s a cheeky one. 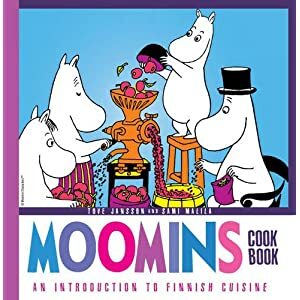 The book itself is filled with delightful original illustrations by Tove Jansson and Sami Mailila has certainly done The Moomin’s justice by adapting some lovely recipes from the original stories. At the event we feasted on smoked salmon and dill on sourdough, herring on sourdough, cheese and onion tart, finnish meatballs, pancakes with lingonberry jam and cinnammon bun rolls. It was a feast fit for a Moomin. Moomin’s love pancakes and whilst slightly different to the american style ones we may cook here, they certainly are delicious and a recipe I will be trying very soon. Other highlight include Finnish Fish Bubble and Squeak, Pumpkin Marmalade, Pumpkin Pie and Moominpappa’s Grog. The recipes are indexed according to occasion; from summer feasts spent in the garden to the perfect birthday cake for a loved one and more dessert recipes that you can shake a snout at. This book has brought back a wave of wonderful, innocent memories, of a time when I hunkered down on the sofa to watch the television series. There’s something so wonderfully simplistic about the Moomin’s that is captured in this book. It’s got the whimsy of a Moomin, the charm of a children’s book and the simplistic encouragement of a cookbook that makes you want to dive into the illustrations and spend an afternoon with Moominmama and LittleMy in her kitchen. Congratulations Sami Malila and SelfMadeHero books on a wonderful publication sure to bring back a lost smile on many faces. Here are a few photos from last nights event. This books holds no pretences that it is a big budget book but it’s hugely informative and if your child loves being by the sea then they are sure to love this book. If it’s their first time experiencing a day at the seaside this is a great book to take a long with you as the ‘Beach Spotter’ guide at the back of the book will help you identify any unidentified strange creatures lurking on the shore. The book is set on the Isle of Wight down at Beach Head and hand drawn illustrations are interspersed and superimposed onto great photography of the Isle of Wight beaches. What I particularly like about this book is the layout of the text. 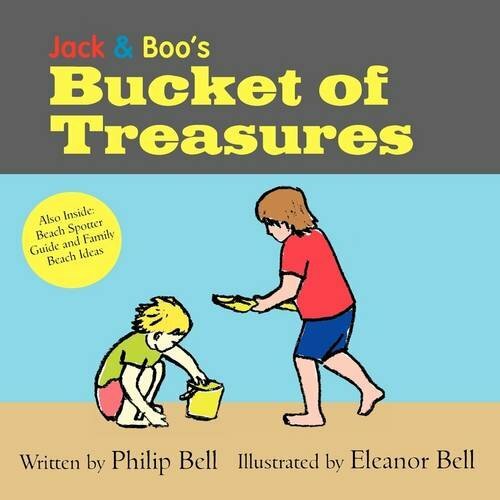 Similar to other picture books it has just a few sentences on each page. In this case, it’s just one long sentence separated onto different lines so it reads almost like a poem. The end result is you really read the words and get a feel for the sea as if you’re really there. If your children love being down by the sea, or if they’ve never been to the Isle of Wight then this is a great way to take them there.